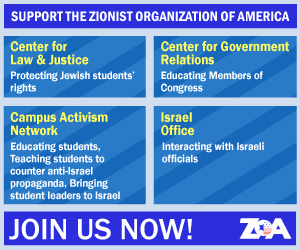 The Zionist Organization of America (ZOA) is supporting the recently-established Israel Victory Caucus, a new Congressional caucus which aims to see the US and ultimately other countries lend support to Israel defeating the Palestinian Arabs so that the century-long war waged by Palestinian Arabs and other Arab neighbors upon Zionism and the Jewish state is brought to a close. 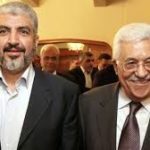 The Caucus, an initiative of the Philadelphia-based Middle East Forum and its president, Dr. Daniel Pipes, has also seen the recent formation of a counterpart within the Knesset in Jerusalem, which was inaugurated at the Knesset on July 11, co-chaired by Oded Forer (Yisrael Beytenu) and Yaakov Perry (Yesh Atid) and attended by Members of Knesset from across the political spectrum, senior military and diplomatic figures, students and academics. The Israel Victory Caucus is predicated on the idea that wars end when one side administers either a clear military defeat on the other side or else compels the other side to desist from hostilities and abandon its war aims –– in this case the Palestinian Arab goal of eliminating Israel. The aim of the Israel Victory Caucus is to create a new focus of policy, one in which the concept of enabling Israel to defeat its enemies is given priority. Only by this means can the Arab war on Israel come to an end. Only with a decisive and conclusive Israeli victory, recognized as such by the Palestinian Arabs themselves, can the conflict draw to close. Anything less than this condemns Israel and the region to perpetual rounds of blood-letting. In an article in the December 2016 issue of Commentary, Dr. Pipes described the things Israel might do to “encourage Palestinians to accept Israel and discourage rejectionism.” They include charging the Palestinian Authority for material damage from terrorism; blocking its officials from returning to the West Bank if their colleagues incite violence; quiet, anonymous burials for Palestinians killed attacking Israelis, and shutting off water and electricity supplies to punish violence by Palestinians. 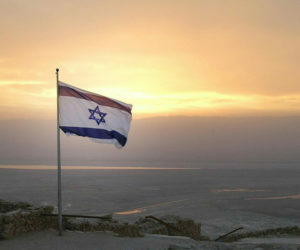 A poll commissioned last month by the Middle East Forum shows two-thirds of the Israeli public share the view of the Israel Victory Caucus, 67% agreeing with the statement “Israeli victory will only be achieved when the Palestinians recognize Israel as the state of the Jewish People” and that “The Palestinian Leadership’s refusal to recognize Israel as a Jewish State” was rated the first among reasons that a peace agreement between Israel and the Palestinians have not yet been achieved.” A further 82% of Israelis do not believe the Palestinian Arab leadership will recognize Israel as the state of the Jewish people under any conditions, a state of affairs which a plurality of Israelis regard as the biggest obstacle to peace. On the military front, 84% of Israelis agreed that, in its next conflict with Hamas or Hezbollah, Israel should “let the IDF win,” defined as continuing military operations until such a point when Israel’s enemies recognize their defeat (‘Knesset Israel Victory Caucus Kicks Off,’ Jewish Press (New York), July 11, 2017). ZOA National President Morton A. Klein said, “The ZOA supports the Middle East Forum’s initiative of the Israel Victory Caucus and the rationale underlying it. “Until now, Israel has either relinquished the prospect of clearly defeating its enemies due to international pressures while the Palestinian Arabs and other Arab belligerents have been insulated from the consequences of their aggression by international support. In this way, the Palestinians have been able to wage terror wars against Israel while the international community has compelled Israel’s restraint. Thereby, Israel never quite wins and the Palestinian Arabs, or Hamas or Hezbollah prepare for yet another costly round of fighting. “A clear-cut Israel victory that brings an end to the conflict is the greatest present the world could help bestow on Israel and Palestinian Arabs because the war would be at an end. “It is a sign of the times when the call for decisive victory is received with suspicion or hostility. Yet victory is one of the few ways wars actually end. “Nazi Germany was not persuaded to cease conquest. It did not agree to give up its conquests. It didn’t compromise how much of its conquests it would keep –– it was comprehensively militarily defeated. That was how it relinquished its war aims: through defeat. “The American South was not argued or negotiated out of slavery –– it refused any such thing. Abolition of slavery was forced upon it by the North’s victory in the Civil War. “Only with a decisive and conclusive Israeli victory, recognized as such by the Palestinian Arabs themselves, can the conflict draw to close. Anything less than this condemns Israel and the region to perpetual rounds of blood-letting.